In early 2018, a-ha will take this special acoustic set on the road, giving the fans a new way to experience the music they love. Magne, Morten and Paul will be joined by a handpicked ensemble of musicians to embellish and reinvent the classics, as well as present new material in acoustic arrangements. Whereas the concerts on the 2018 tour will be held in large indoor arenas, the four performances in June 2017 will be for a very limited audience of only 300 people at each show. These are likely to be held in Norway, but the exact location is yet to be determined, a-ha manager Harald Wiik tells the Norwegian press. 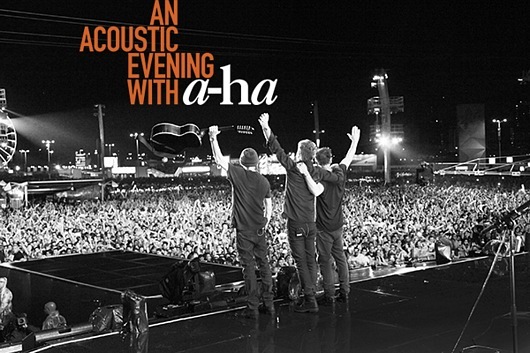 Read the full announcement on a-ha.com for more details and ticket info.